2013 Infiniti JX35 All Wheel Drive- Local 1 Owner, Clean Carfax Report with Documented Dealer Service History, No Accidents and Non-Smoker, Factory Options Include Drivers Assistance Package With Back-Up Collision Intervention, Heated Steering Wheel, Remote Start, Intelligent brake Assist with Forward Collision Warning, Blind Spot Warning, Intelligent Cruise Control and Distance Control Assist. Theater Package Including Dual Monitors with Wireless Headphones, Cargo Package, Illuminated Kickplates Along With Premium Package That Includes Navigation and Bose Sound System with Around View Camera System. 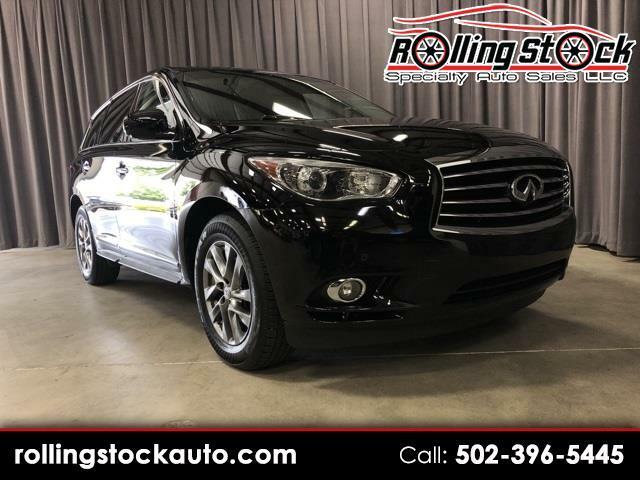 MSRP New Was over $52,000 So This Might Be Your Deal of a Lifetime and After All Infiniti's Are Known For Long Life and Great Reliability. Contact Me Cary Donovan 502-396-5445 to Schedule Your Appointment To See This One at My Louisville Indoor Showroom.